Simon Hofele performs an arrangement of Rhapsody in Blue, bass-baritone Ashley Riches sings Vernon Duke's 'Ogden Nash's Musical Zoo' and guitarist Thibaut Garcia plays Piazzolla. New Generation Artists: Rhapsody in Blue from demon trumpeter, Simon Höfele, an American musical zoo from bass Ashley Riches and guitarist Thibaut Garcia plays Piazzolla. Kate Molleson continues her eight-part early evening series celebrating the prodigious talents of Radio 3's current New Generation Artists with this fun-packed programme which takes us from New York to South America. Established nearly two decades ago, Radio 3's New Generation Artist Scheme is internationally acknowledged as the foremost scheme of its kind. It exists to offer a platform for artists at the beginning of their international careers. Each year six musicians join the scheme for two years, during which time they appear at the UK's major music festivals, enjoy dates with the BBC orchestras and have the opportunity to record in the BBC Studios. The artists are also encouraged to form artistic partnerships with one another and to explore a wide range of repertoire, not least the work of contemporary and women composers. In recent years Radio 3's New Generation Artists have appeared in festivals or concerts in Aldeburgh, Bath, Belfast, Birmingham, Buxton, Cheltenham, Edinburgh, Glasgow, Hay-on-Wye, Orkney, Ryedale, Southampton and Stratford-upon-Avon as well as at the BBC Proms. 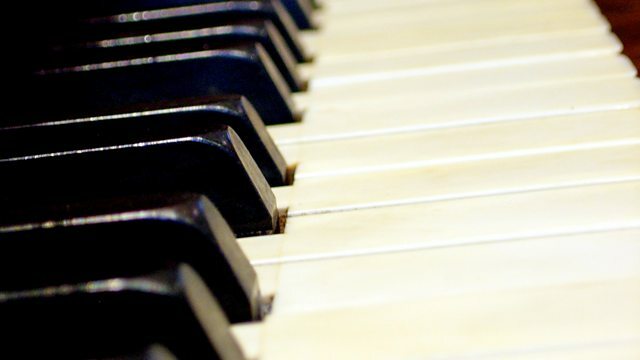 Typically, the artists selected will have been prize winners at major international competitions such as the Tchaikovsky, Liszt or Ferrier but the BBC New Generation Artist Scheme is not itself a prize, rather it offers a a unique two year platform on which artists can develop their prodigious talents. Not surprisingly, the list of alumni reads like a Who's Who of the most exciting musicians of the past two decades. In this series, we can catch those artists near the beginnings of their journeys. Performer: Simon Höfele. Performer: Frank Dupree. Performer: Ashley Riches. Performer: Joseph Middleton.